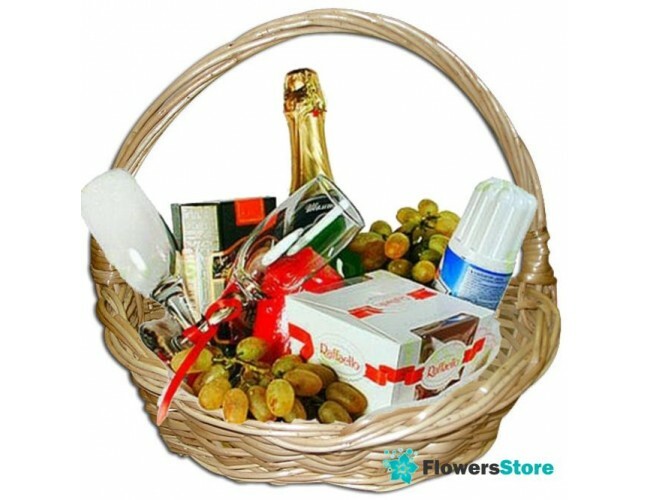 Description Baskets: Give love and unforgettable evening together his heart Dame! 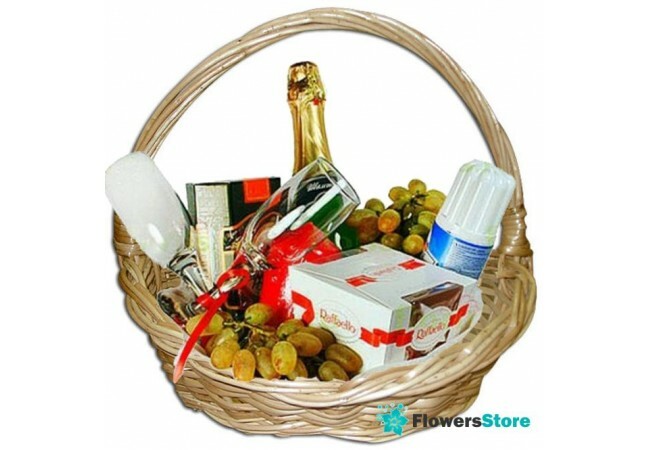 The composition of the basket: of grapes, raffaello, cream, chocolate, basket, decoration, 2 glasses + champagne (Artemovskoye 0.75l.) - A GIFT !! !